Journalism is a public practice: it requires serving the public interest and in turn earning public trust. But what happens when a story that is of public interest requires a level of privacy that seems to undermine credibility and public trust? That is the ethical dilemma of anonymity that journalists face. As student journalists, it is no less important for us to reflect on the decision-making procedures that go into the use of anonymity. Despite all the costs and risks, anonymity is sometimes worth it. Aversion to anonymity in a public practice like journalism is understandable, but arguably ahistorical. The most famously cited example of such reporting is that of Carl Bernstein and Bob Woodward. In 1972, the Washington Post reporters covered the Watergate scandal, which led to the downfall of the Nixon presidency. The catch is that they relied on anonymous sources to break the story. It is important to clarify that anonymous sources mean confidential, unnamed, or background sources. Their identities are known by the reporter, but the information they provide is not ultimately attributed to them. Revealing a given source’s identity can lead to retribution for both source and reporter, whether in their physical safety or employment prospects. Without source anonymity, some stories may otherwise never be told. But public trust is always at stake. Readers have reason to be skeptical: if a claim is not attributed to any named person, it is difficult to know if they are telling the truth and how to hold them accountable. The public may especially scrutinize organizations that do not have a long-established reputation or record that justifies trust in anonymous sources, which may be particularly true for campus newspapers. It is therefore incumbent on journalists to use anonymous sources cautiously and sparingly, and to follow strict guidelines when doing so. Organizations like the Canadian Association of Journalists (CAJ) or the Society of Professional Journalists elaborate on when journalists should decide to use anonymous sources. According to the CAJ’s Ethics Guidelines, if there is a high public interest in what the source has to say and there is no alternative access to that information, then the journalist has reason to use such sources. But journalists can nonetheless take steps to increase credibility and ensure that what they are gathering is indeed true. For example, they might gain the permission of a senior editor and ensure that they are aware of the identity and material of the source. The source should be carefully vetted for their reliability and reasons for coming forward. There should be no malicious motive underlying the information they provide. For instance, as the CAJ notes, they should not “take cheap shots at individuals or organizations.” Given the lack of accountability, anonymity could perhaps give the source licence to make exaggerated, opinionated, or speculative assessments. When describing the source in their reporting, the journalist should ensure that they contextualize the person in question as transparently as possible without exposing their identity altogether. If the journalist fails to protect their source, they risk damaging the reputation of the entire publication and any future prospects of anonymous sources coming forward. As The Varsity’s Code of Journalistic Ethics clearly states, “Journalists must protect the anonymity of sources to whom they have given such assurances.” Ultimately, journalists are obligated to the trust of both the readership and their source. The Varsity’s News Editor Josie Kao explained the customary process that the News team undergoes in such scenarios. According to Kao, anonymous sources are used as little as possible and anonymity is granted “on a case-by-case basis.” Editor-in-Chief Jack Denton elaborated that fear for safety, security, and reputation are good reasons for granting it. Other student-run campus papers also cite justifications like the prospect of mental, physical, sexual, or financial harm. Kao gives the example of her September story on Test and Exam Services invigilators who spoke out against training sessions that included discriminatory content about students with disabilities. Although an initial invigilator had already been public about the issue on social media and spoke on the record for Kao’s story, she connected Kao to co-workers who were willing to corroborate. However, they only agreed to proceed if guaranteed anonymity, given their fear of losing their jobs. Kao admitted that “maybe there’s a better way to be transparent about the editing process” to ensure readers are aware of the intense process behind the decision. At the University of Ottawa, Features Editor of student paper The Fulcrum Matt Gergyek is currently using anonymous sources to cover a story on student involvement in sugar dating for income. Gergyek suggested attaching the paper’s policy on anonymity alongside an explanation about how sources were vetted and why identities are being concealed to the article in question to preemptively address issues of public trust. Procedures at other campus newspapers vary. 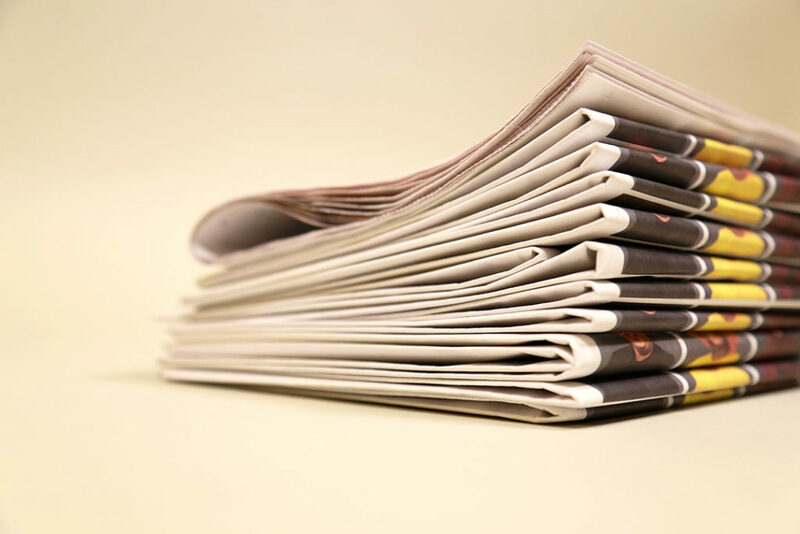 At the University of Calgary, student paper The Gauntlet follows a similar process to The Varsity in that the editor-in-chief, news editor, and reporter in question must be fully aware of the background of the source. At The McGill Daily, one of McGill University’s student papers, Coordinating Editor Lydia Bhattacharya indicated that an editor using anonymous sources has to consult with management to verify credibility — contact is made with the source — and ensure anonymity is maintained. The Fulcrum’s Editor-in-Chief, Anchal Sharma, doesn’t believe that using anonymous sources undermines the credibility of an article, especially when multiple sources corroborate the claims. At The Ubyssey, the University of British Columbia’s main student paper, the process is somewhat more rigorous. Coordinating Editor Sam McCabe explained that if a reporter wishes to use an anonymous source, it must be approved by the section editor, followed by the coordinating editor, and ultimately two-thirds of the entire editorial team. Given that anonymity undermines credibility, McCabe explained, this lengthy process “forces writers and editors to really consider why they may or may not grant certain requests.” Furthermore, The Ubyssey always seeks on-the-record and background sources to verify claims made by anonymous sources for due diligence. For some smaller papers here at U of T, anonymous sources are not allowed. The Mike’s Editor-in-Chief Aaron Panciera explained that this is due to a lack of experience with anonymous sourcing, resources required to vet anonymous sources, and reputation to legitimize their use. While the credibility of anonymous sources is particularly important for hard news, there is a distinction to be drawn for other forms of writing. The respective Editors-in-Chief for Ryerson University’s Eyeopener and Western University’s Western Gazette, Jacob Dubé and Michael Conley both agree that a source’s personal experience or feelings about an issue do not pose as much of a liability as, for instance, allegations against an individual or organization. In this regard, narrative-style feature reporting is usually more flexible than hard news: it tells a story that does not point fingers, but provides voice to vulnerability. For instance, with the backdrop of the #MeToo movement, former Varsity Comment Editor Teodora Pasca has written a series of pieces on ordinary people’s experiences of online sexual harassment. The guarantee of anonymity — in the form of a pseudonym — was crucial to bringing forward respondents when she sent out requests, especially in big U of T Facebook groups. “When you’re dealing with moments of vulnerability and uncomfortable sexual experiences, a lot of people won’t want to share them, especially if you’re printing them. A Google search can be uncomfortable since the narrative gets associated with their name,” said Pasca. “They rarely get an opportunity to explain everything that has happened,” said Pasca, “and then have that narrative be incorporated with other [people’s].” Pasca also made sure to share transcripts with respondents to ensure that they were pleased with the product, even though anonymity was already guaranteed. Transcripts were also made available for readers to “hear” the full story. While a news reporting perspective on sexual harassment often involves an accusation, which requires getting comment from the accused, corroboration, and using words like “alleged,” the feature format allowed Pasca to focus on one side of the story that was “cathartic and meaningful for people to read.” In this sense, anonymity didn’t undermine credibility, since it’s not primarily about whether or not you believe a source experienced an incident. It’s simply about ensuring that their story is heard. A similarly sensitive issue is youth homelessness in Toronto, which former Photo Editor Steven Lee and and current Deputy News Editor Ilya Bañares wrote about in last year’s winter magazine. They wrote this story to address education systems that don’t adequately support their students. They are “ignored if unsuccessful, revered if successful,” noted Lee. Lee found that it was imperative to protect the identity of the youth who were interviewed, given the stigma of “uselessness, laziness, [and] desperation” associated with homelessness that could further expose them to bullying and discrimination. According to Lee, many of them “have worked really hard to distance themselves from said stigma in certain company,” including friends and teachers, “to retain a semblance of normalcy in their life.” Hence, they were asked how they wanted to be described in the piece and given untraceable monikers. Whether in the cases of Pasca or Lee, the style for feature writing did not require a rigorous vetting process for the sources because they were not making accusations that heightened liability. They were just telling their stories. Given the sensitivity of these subjects, the position of the journalist and the personal stake they have in the subject also matters. For instance, Pasca is a woman, and as such acknowledged that this likely had something to do with sources — mostly also women — being willing to speak to her. She was also invested in the subject given her own experiences of harassment. Likewise, Lee’s own experience of homelessness informed his interest in and ability to access homeless youth sources. But anonymous sourcing isn’t the only form of anonymity in journalism. An overlooked but equally important discussion is of anonymous bylines. Among other matters, the op-ed drew controversy and criticism for its anonymity. Readers argued that an author should not just stand by but defend their own words, especially where accusations are concerned. Other campus papers are also ambivalent toward anonymous bylines, although exceptions are made in the case of personal opinion pieces that could lead to significant retribution for authors. For example, Bhattacharya noted that The McGill Daily is willing to give anonymous bylines to protect an author’s personal safety, referring to instances when authors feared being doxxed by Canary Mission after criticizing Israel’s occupation of Palestine in their articles. Editorials, which are opinion pieces written by the masthead, offer another avenue to examine anonymous bylines. 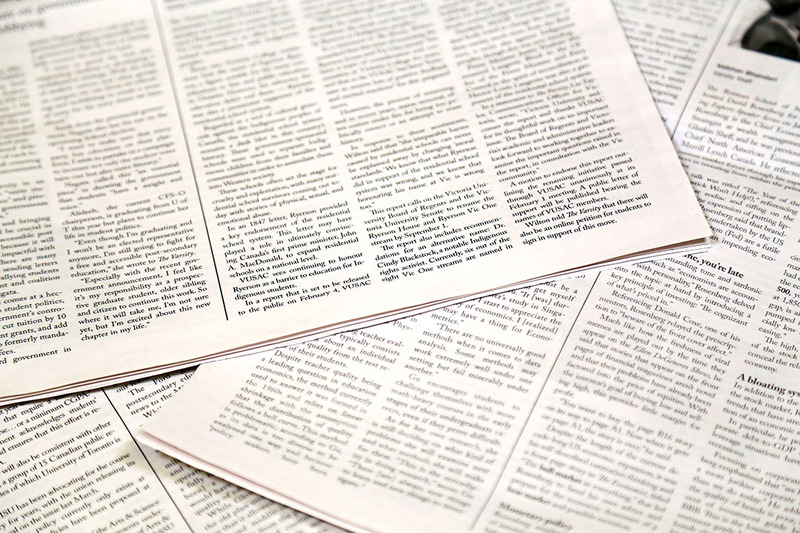 Some campus papers use unsigned editorials, in which the article is accredited to the editorial board of the paper, as is the case with major publications like The New York Times or Toronto Star. In these cases, the individual authors of the editorial remain anonymous. The Varsity’s operating policy mandates the practice of unsigned editorials to “represent the opinion of the newspaper as a whole.” Every semester, the masthead elects a group of individuals to serve on the editorial board, of which the Comment Editor is always chair. The identities of the other members are not made public, to ensure a confidential process in which members are free from external influence and scrutiny. The benefit of unsigned editorials is that readers are focused on the argument and analysis at hand rather than the authors and their potential biases. This unity as the collective voice of a journalistic institution projects authority and power in advocacy. The importance of the editorial board is further accentuated by the fact that, while conflict may exist privately, Varsity masthead members cannot publicly write individual opinion pieces to ensure that they don’t potentially conflict with the editorial position. Papers with coordinating editors, like The McGill Daily and The Ubyssey, also use unsigned editorials, but claim to be less hierarchical and more democratic in that consensus from the entire editorial team is necessary. Whether a paper uses an unsigned, signed, or hybrid system for editorials, considering the power and limitations of anonymity is essential as the writers grapple with public trust and transparency. Who said, or what is said? When it comes to anonymity, we are often focused on credibility. Readers want to know who is behind the stories they read. Without an answer, there is less accountability and trust. Nevertheless, a story or perspective should not be discounted simply because the identity of the source or author is concealed. There is no question that due diligence is essential and papers should be transparent about their editorial decisions. But sometimes, to best serve the public interest, readers should read carefully for a moment before asking questions and making accusations. Otherwise, some stories might never be told. *Name changed, for reasons explained above.